CRAVE salads are versatile! 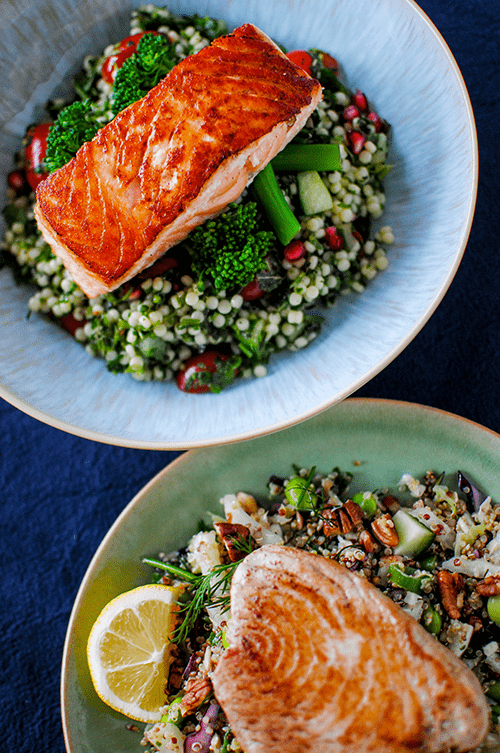 While each salad is a delicious, complete meal on it’s own, our salads also work great as a ready-made side dish or as the base for a more elaborate dinner. The best part? We do all the hard work so you don’t have to! You only need a few minutes and an extra ingredient or two to put together a hearty (even warm) meal. AND…..there’s little washing up! 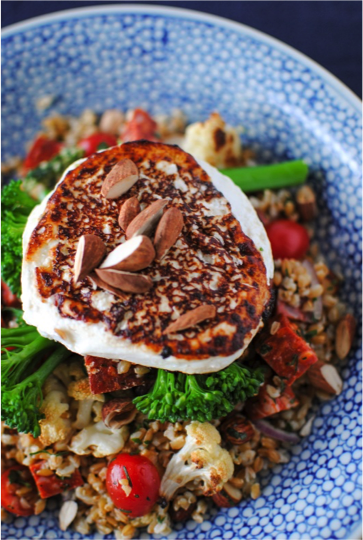 A winter warmer - CRAVE Spelt, Roast Cauliflower & Chorizo salad topped with steamed greens and grilled goat's cheese. Date night? 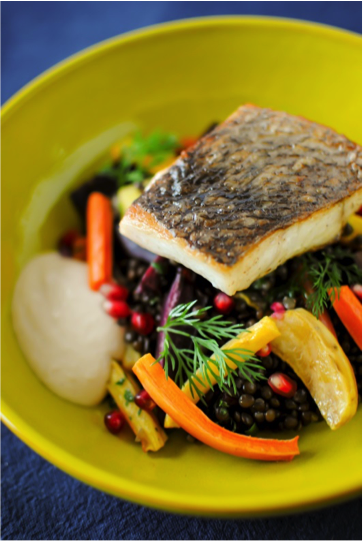 Impress with our Beluga Lentils, Roast Vegetables and Hummus salad paired with pan-fried corvina fillet (or any firm white fish). 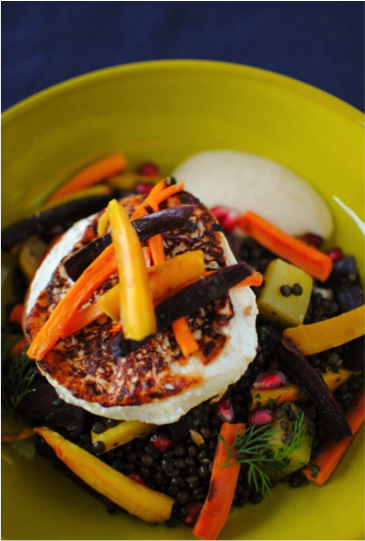 ...or you can opt for a veggie alternative and embellish our Beluga Lentils, Roast Vegetables and Hummus salad with warm goat's cheese. 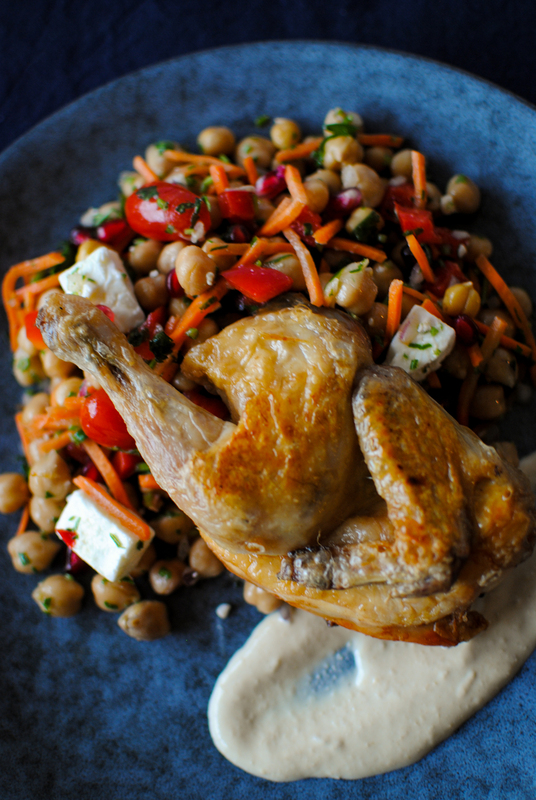 CRAVE Persian Chickpea salad with oven-roasted, free-range baby chicken and yoghurt sauce makes a fab, mid-week dinner. 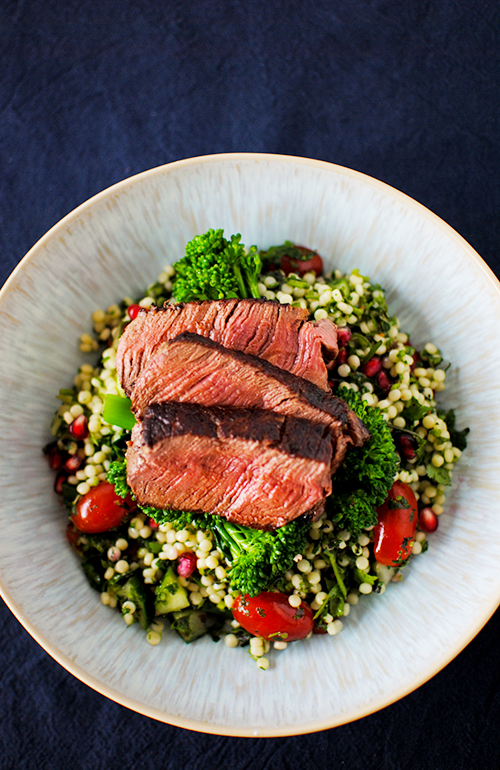 An easy peasy healthy and delicious dinner - just add steamed broccoli and beef fillet to your CRAVE Pearl Couscous Tabouleh salad. Fish on the menu! For a dinner in under 5 minutes, team up a CRAVE salad with your favourite grilled fish.